Life IT specialises in IT support and consultancy for our customers’ entire IT environments, no matter what the platform, applications and business objectives – providing a unified solution to tackle complex system requirements. Life IT specialises in support for IBM POWER, IBM Lotus Domino and Microsoft environments. We provide any combination of application, operational and technical support, no matter how current your environment is and no matter how long support is projected for. Life IT provides a full range of Lotus Notes and Domino services, from administration and implementation through to application development and support. As an IBM Premier Business Partner, Life IT have a powerful range of solutions and services, which enhance this flexibility to ensure your systems security and ensure high availability. Life IT are a business partner that can update and modify your applications to meet your changing needs. We recognise that few organisations have a single development toolset. We offer our clients the widest range of skills and support including IBM, Microsoft and Java technologies. Our flexible support contracts offer far more than the standard ‘insurance’ provided through legacy maintenance agreements. Life IT customers are assured of the highest levels of availability for any eventuality, with our proactive approach to maximising system uptime. This unified solution saves our customers a significant amount of time and budget, with just one contract providing them with a whole world of support. Life IT provide immediate response levels by service agreement, giving you 100% guarantees to meet your business objectives. Life IT continually monitor and test your systems. We will know if there is an issue long before it becomes a problem. Our technicians are all fully qualified and coded for the latest systems, hardware and software. Life IT are right up to date with the latest enterprise software, architectures and infrastructure. Life IT has been providing managed services to our clients for many years across arrange of technologies and solution, allowing our customers to focus on their business priorities. Life IT deliver collaboration solutions for the entire enterprise built on IBM software. Life’s business continuity solutions for IBM i, developed using Maxava HA (formerly *noMAX) products, offer secure, reliable & cost effective protection for critical business information on your IBM i. Keep your employees current and active by drawing their attention to critical news, events and resources relevant to their job role and location with IBM Connections Engagement Center. IBM Connections Engagement Center provides employees with all the information they need to be more engaged, collaborative and productive. Available through one easy to use interface, users can customise content to their role and preferences. Our team of experts and our deep understanding of business processes across all industry sectors makes Life IT uniquely placed to offer IBM Connections Engagement Center consultancy and integration services. We will work with you to provide dedicated training and support to help you map your integrated solution to achieve rapid and successful uptake by your workforce. Life IT specialise in IT support and consultancy, for key technologies within the IBM and Microsoft portfolio. We offer any combination of application, operational and technical support no matter what the customer’s legacy environment, no matter how long support is projected for. We tackle complex systems where a combination of requirements would normally mean that more than one party is required. Due to our wide range of customers and in depth knowledge and experience, backed by ongoing training and certification, our team can provide managed service solutions including application support and development, operation and technical support together with a range of infrastructure solutions. We aim to eliminate our clients’ concerns around holiday and sickness cover for key in-house staff, as well as reducing the direct costs of employment. Our team can provide managed service solutions including application support and development, operation and technical support together with a range of infrastructure solutions. Life IT specialises in IBM Domino and IBM Lotus Notes support. We provide any combination of application, operational and technical support, no matter how current your environment is and no matter how long support is projected for. We recognise that few organisations have a single development toolset, so we offer our clients the widest range of skills and support including IBM, Microsoft and Java technologies. To take advantage of the latest features & functions and keep your system fully supported with Life’s upgrade service offers a fully inclusive, co-ordinated solution which is geared to ensuring the success of the upgrade without disrupting your business. The IBM i EDI with amazing service. Life IT enables the interconnection with suppliers & customers through our EDIHub. 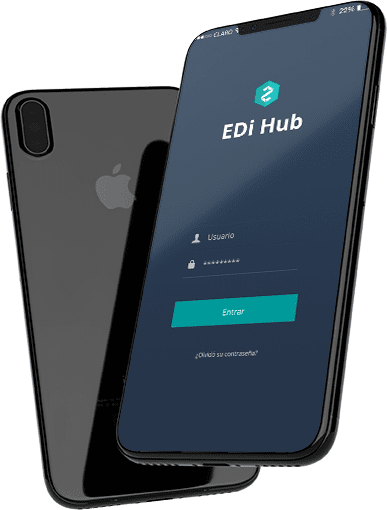 EDIHub is a cost effective, fast & secure Electronic Message Exchange solution for IBM i platform, combining up-to-date EDI capabilities with high levels of service & support.